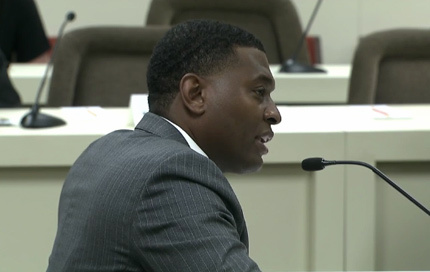 Today’s Senate committee hearing for NC DEQ Secretary Michael Regan felt like a softball game, and not even fast-pitch. Instead, lawmakers tossed questions at the nominee — some that Regan had seen in advance — which were ready for him to hit. Regan emphasized that his tenure at the EPA, where he was a national program manager in air toxics under the Bill Clinton and George W. Bush administrations, and at the Environmental Defense Fund, where he worked on clean energy. These experiences, he said, helped him negotiate “win-win situations” for business and environmental communities. “We used to say at the EPA that, ‘We like to educate rather than regulate,” Regan said. “We want to create a culture where people who involuntarily violated a rule come to the agency to figure out how to work out of the situation. This is not a gotcha game, but how to protect our natural resources. Regulations, a freighted and frightening word for many conservatives (unless it applies to renewable energy), dominated much of the questioning. Regan, responding to a query from Republican Sen. Ron Rabin, told the committee that he “had not seen the need for any additional regulations at this time,” although that issue could be revisited later. Nor is Regan looking to implement a North Carolina version of the Clean Power Plan, which was essentially repealed by President Trump. 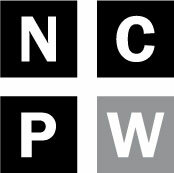 Because of the state’s Renewable Energy Portfolio Standard — again under attack from conservative lawmakers this year — and the 2002 Clean Smokestacks Act, which required utilities to significantly curb their smog-causing emissions, North Carolina will likely achieve the CPP’s benchmarks anyway. Regan said he is headed tomorrow to Goldsboro, his hometown, to meet with officials at Seymour Air Force Base about the interaction between the military and wind/solar farms. Both forms of renewable energy are under scrutiny in the General Assembly – action critics believe amounts to a veiled attempt to undermine their proliferation. The Navy already OK’d the Amazon Wind Farm near Elizabeth City. And Regan’s chief deputy, John Nicholson, is a retired colonel, who likely could forge “robust stakeholder engagement” with military officials. A bill introduced this week would also study the prevalence and health risks of hexavalent chromium, also known as Chromium 6, in drinking water wells near coal ash impoundments. Safe levels of Chromium 6 in drinking water were a centerpiece of the controversial “do not drink” and subsequent “do drink” letters sent by DEQ under the McCrory administration. Currently the drinking water standard near coal ash impoundments is 0.07 parts per billion. Environmental advocates would have likely wanted to hear Regan vociferously oppose the Atlantic Coast Pipeline, which will route through eastern North Carolina. But Regan steered away from his personal opinions and instead hewed to the agency’s limited permitting role with respect to the ACP; the natural gas pipeline falls under the purview of the Federal Energy Regulatory Commission. DEQ is conducting its own environmental assessment; FERC issued its Draft Environmental Impact Statement late last year. President Trump has already put WOTUS, as the rule is known for short, on hold via executive order. Jackson also claimed that environmental groups were forcing some hog farmers into bankruptcy through lawsuits. That is not true. The industrialized swine farms, targeted by the legal action, are owned by Smithfield/Murphy-Brown or Prestage, both multi-million dollar corporations. Regan told the committee that he had met with the industry group, the NC Pork Council for nearly three hours and that he plans to visit several large swine farms later this month. He has also asked the EPA to “back off” a Title VI environmental justice complaint filed by community groups against DEQ over environmental and health impacts from the farms. Instead, Regan said, DEQ will “engage in mediation.” Previous EPA-ordered mediation sessions between DEQ and affected communities crumbled under former Secretary Donald van der Vaart. In that case, DEQ officials tipped the NC Pork Council to the confidential mediation sessions, and industry lawyers showed up. The communities subsequently filed a Title VI complaint, alleging that DEQ had attempted to intimidate them by telling the pork industry about the mediation. “We try to avoid the courtroom,” Regan said. Next article What does subdividing court districts have to do with voters? Everything.